A new study, led by the University of Stirling in Scotland, has led to a major discovery about the way in which omega-3 long-chain polyunsaturated fatty acids are produced in the ocean. According to lead scientist Oscar Monroig from the university’s Institute of Aquaculture, the breakthrough challenges the generally held principle that marine microbes, such as microalgae and bacteria, are responsible for virtually all primary production of omega-3 fatty acids, which are essential for human health, and have been proven to be particularly useful in combating and preventing cardiovascular and inflammatory diseases. Instead, an international team of scientists from the United Kingdom, Portugal, Spain, Japan, and Australia found that omega-3s can be created by many marine invertebrates. “Our study provides a paradigm shift in understanding, as it demonstrates that a large variety of invertebrate animals, including corals, rotifers, molluscs, polychaetes and crustaceans, possess enzymes called ‘desaturases’ of a type that enable them to produce omega-3, an ability thought previously to exist almost exclusively in marine microbes,” Monroig said. Invertebrates form an important part of the biomass of many marine ecosystems, including coral reefs, hydrothermal vents, and abyssal plains, which are underwater plains on the deep ocean floor that cover more than 50 percent of the earth’s surface. As a result, the research team believes that these animals’ contribution to the oceans’ omega-3 production is likely to be significant. David Ferrier, of the Scottish Oceans Institute at the University of St. Andrews, who undertook evolutionary analyses for the study, was surprised to find that the production of omega-3 in marine invertebrates appears to have happened through a process called horizontal gene transfer. Global demand for omega-3 fatty acids is growing, particularly from the health-supplement industry and as an ingredient in fish oil used in salmon farming and other forms of aquaculture. Given that fish oil supplies from wild-caught fish such as Peruvian anchoveta are finite, considerable effort and finance is being put in to finding and developing new sources, from algae, insect meal and advanced soy products, amongst others. The research team hopes that their results may help to add to the basket of ingredients available to industry, Ferrier said. “In revolutionizing the way we think about omega-3 production, we expect that our research will open the way for new combinations of enzyme sequences to be explored and give researchers and developers new material to play with,” Ferrier said. IFFO, the Marine Ingredients Organization, has been following the research closely, and is also pleased to learn of the potential for increased sources of omega-3 implied by the results. 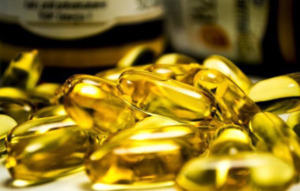 “Fish oil is the go-to resource for marine omega-3 fatty acids, but as the resource is finite there is unfortunately not enough to meet societal demands at the current time, nor is it likely to increase. The Western diet is acknowledged to be deficient in omega-3s, and IFFO supports the development of responsibly-produced alternatives that can supplement fish oil in achieving human and farmed animal health benefits,” IFFO Technical Director Neil Auchterlonie told SeafoodSource.